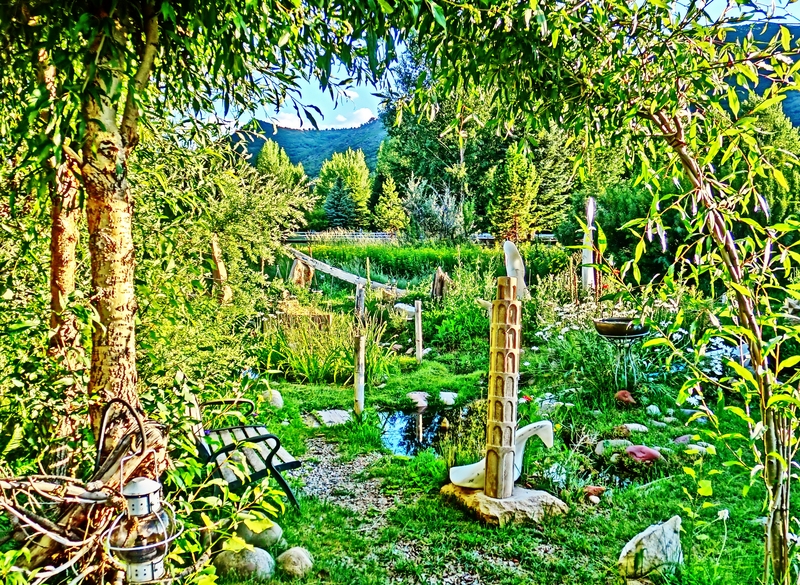 Although my Leaning Tower of Woody Creek was carved a full nine months prior to my ever setting foot inside Pisa’s iconic landmark, I’m pretty sure it was while I was sitting on the bench picture above that I came up with the idea to carve a leaning tower for the Birdhaven Sculpture Garden. At the time, I had just made plans to visit Italy in the coming spring, a journey that would of course lead to my mapping out The North West Tuscan Way. So by way of announcing the joyous news to the world, I thought a little ‘miracle’ of our own would provide a splendid focal point to the, by now, well establish Birdhaven. And although the tower may look a tad precarious, I can assure you it is going nowhere; will not tip, rock or roll. The fact is that this improbable looking carving is anchored and epoxied to a very substantial slab of five inch thick base stone. In addition, the Winterset limestone block that I chose for this project proved extremely resilient as well as consistent: both mightily important details when carving a project containing no less than 48 arched ‘windows’. One slip of the chisel, one patch of ‘mud’, one undiscovered fault or crack, and the effect is lost. Time however has proved kind to the Seventh Wonder of Woody Creek as, at the moment of writing (March 27, 2019) he remains pretty much unchanged, aside from his ever evolving patina, from the day I carved my mark into his base and placed him at the heart of the Birdhaven Studio Sculpture Garden. 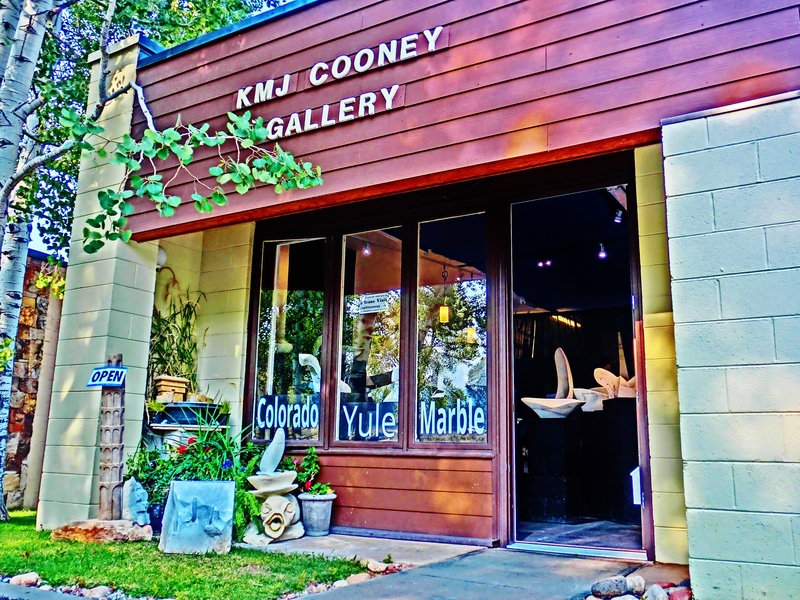 Today his flag flutters in order to draw attention to the KMJ Cooney Studio Sculpture Gallery, directly across from Aspen Airport, and fronting Highway 82. 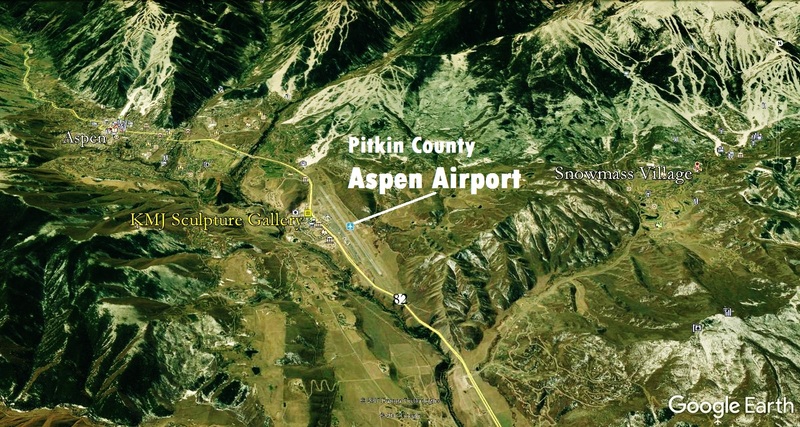 111 Aspen Airport Business Center Suite D, Aspen 81611 CO.
To discover how I carved the Leaning Tower’s exterior columns please click on the video located at the foot of the page. 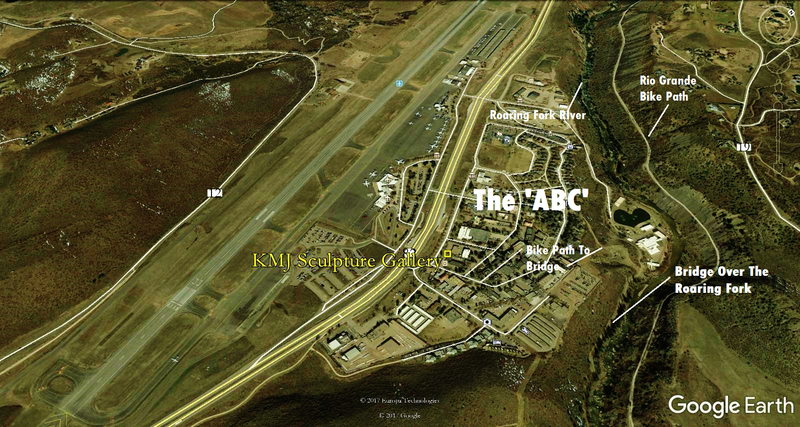 This entry was posted in All Postings, Gallery of Limestone Sculpture, Gallery of Sculpture, Gallery of Standing Stones, Gallery of Whimsy, Posts about my Sculpture, Posts about the Sculpture Garden, Posts with Stone Carving Demo Videos, Posts with Videos and tagged Art, Artist, Aspen, Birdhaven, carving, Colorado, demo, demonstration, flag, flag pole, leaning tower, limestone, Martin Cooney, Pisa, portable, Sculpting, sculptor, Sculpture, video, Winterset, Woody Creek. Bookmark the permalink.